Commiphora wildii essential oil competition winners! On April 12th 2013, two winners were awarded with NAD 35000.00 each for their products containing Commiphora wildii essential oil. 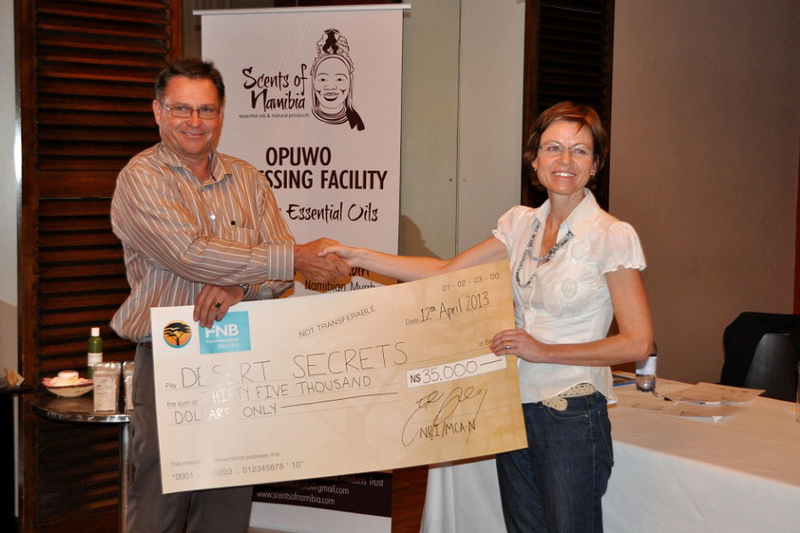 Tamarind Nott (Rare Scent) and Sophia Snyman (Desert Secrets) were each awarded with a cheque for their amazing products! 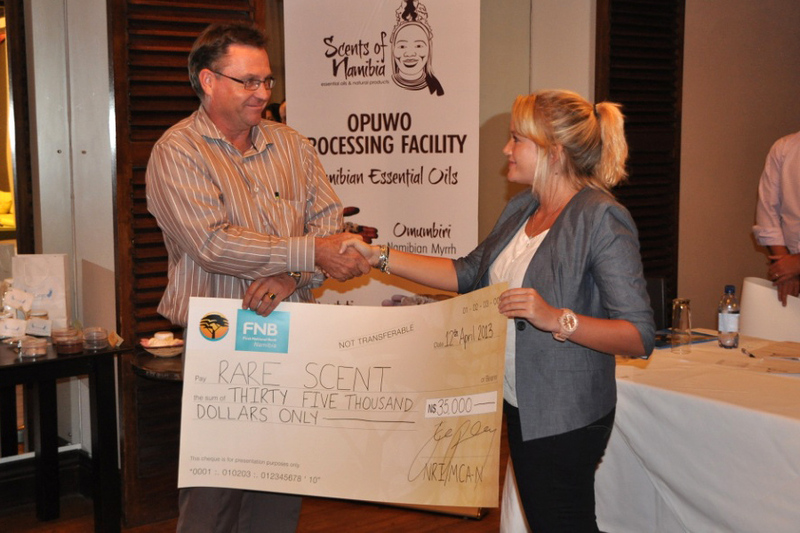 The Natural Resources Institute, University of Greenwich, with financial support from the MCA-Namibia Indigenous Natural Products Innovation Fund has under the Namibian Essential Oil Innovation (NEOi) project, launched the competition in the beginning of February 2013 to encourage Namibians to generate innovative cosmetic uses of the oil. A total of 9 contestants and 42 different products were presented to a panel of 5 judges in a ‘Dragon’s Den’ style setting. 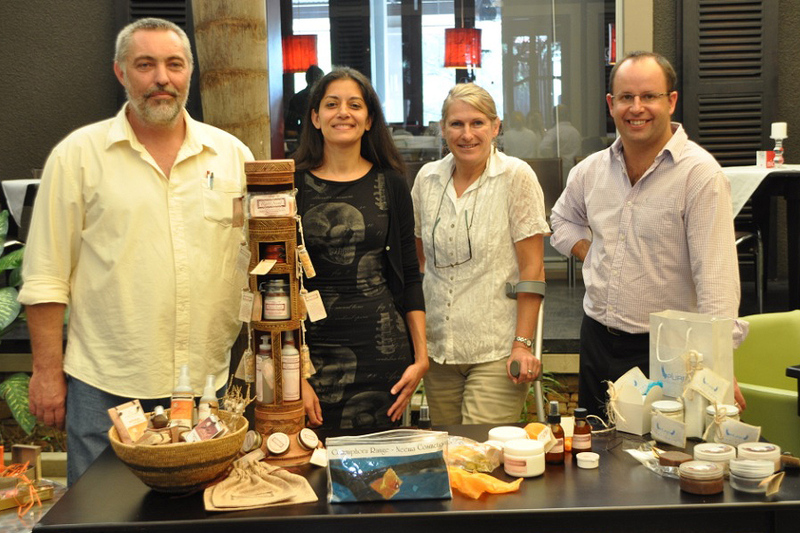 Fabienne Bourhis (Perfumer, V. Mane Fils), Dr. Pauline Lindeque (Senior Manager Strategic Marketing, Sales and Communication, Namibia Wildlife Resorts), Lizette Foot (General Manager, Team Namibia), Dave Cole (INP Manager, MCA-Namibia) and Dr. Julian Fennessy (Team Leader, Natural Resources Institute) all judged the products based on the smell, appearance and texture of the prototype products, packaging design and pricing strategy, product formulation, and the viability of their business idea and suitability for the proposed target market. Follow up support to the winners will be provided by the Natural Resources Institute/MCA-Namibia Team to help guide them to the next stage of product development. 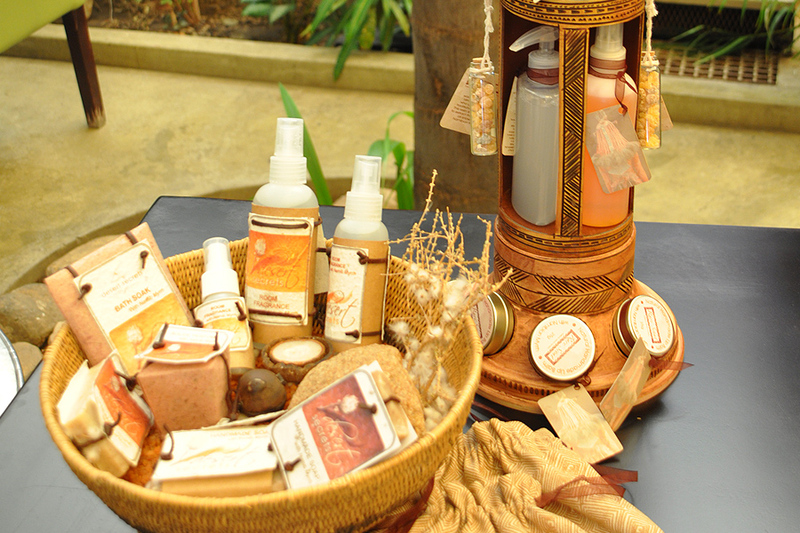 These products will also have a special space at the Opuwo Visitors Centre, which is to be built later this year.